There’s a movement afoot to get more women into the business of innovation. I’m part of that movement, I want to let you know about a project I’m involved with — and let you know how you can get involved. 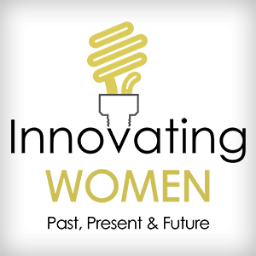 Innovating Women: Past, Present & Future is a book designed to encourage, inspire, and educate more women in Science, Engineering, Technology, and Mathematics (STEM) and other innovation fields. Innovating Women is a unique movement to crowd-create a book that will feature hundreds of stories and perspectives of everyday women working in the innovation economy. Telling the stories about women’s challenges, successes, and experiences in these fields is an important step for change. By educating our greater community, industry leaders, and policy influencers, we can all help make this happen. As part of my commitment to Innovating Women, I have agreed to share my story and help raise funds to make this book a reality. Beyond book production expenses, all proceeds from the campaign and book sales will go toward programs at Singularity University to educate women about advancing technologies and support their startups. Google for Entrepreneurs has also agreed to match what we raise on Indiegogo up to $50,000 for these women’s programs. Please join me and support our campaign. Here is the Indiegogo website:www.indiegogo.com/projects/innovating-women and here is where women can sign up to be coauthors: www.innovatingwomen.org.